2014 NADOHE Annual Conference - "Our Best Conference Yet!" What Works for Latino Students in Higher Education, the 2013 Compendium, published by Excelencia in Education, is now available! NADOHE Response to Peter Wood's Commentary in Chronicle of Higher Education Letter to the Editor Published November 21, 2010. October 12, 2015 Palm Beach Gardens, FL – The National Association of Diversity Officers in Higher Education (NADOHE) is seeking nominations for the 2016 Inclusive Excellence Awards. The awards recognize and honor individuals and/or institutions for exemplary achievements and contributions to lead higher education towards inclusive excellence and institutional transformation through the study of diversity by means of research, leadership, or service.More information about the awards can be found here. Nominations must be received no later than January 11, 2016 by mail, email or fax. Nomination instructions and information are available at www.nadohe.org. Award recipients will be recognized during the NADOHE 2016 Annual Conference, March 14 - 16, 2016 in San Francisco, C.A. Award categories include the Dr. Frank W. Hale, Jr. Distinguished Service Award, Institutional Excellence Award, Individual Leadership Award, and Outstanding Dissertation Award. Dr. Frank W. Hale, Jr. Distinguished Service Award will be awarded to an individual who is distinguished in higher education, through a robust record of consistent service, for inclusive excellence; exercising innovative and courageous leadership; serving as a visionary in the field; and exemplifying the philosophy, principles, and practices of NADOHE; and contributing substantially to diversity and inclusive excellence in higher education. This award was named in memory of Dr. Frank W. Hale, former vice provost for minority affairs and professor at Ohio State University. Dr. Hale is remembered as a tireless crusader, of 54 years, for diversity in higher education and leaves behind a distinguished legacy in higher education. Institutional Excellence Award will recognize the results of institutional leadership transformation. This award will be given to an institutional member (community college, liberal arts, or a research university) that has demonstrated measurable progress in promoting and sustaining innovative diversity efforts within his/her campus community. These efforts may involve, but are not limited to, institutional leadership, curricular reform, institutional transformation, professional development, assessment policies and practices, accountability measures, and outreach efforts. Individual Leadership Award will be presented to a NADOHE member for outstanding contributions to research, administration, practice, advocacy and/or policy, and whose work informs and advances the understanding of diversity and inclusive excellence in higher education. Outstanding Dissertation Award will recognize a completed dissertation, either quantitative or qualitative, that has contributed substantially to the literature and to the field of diversity and inclusive in higher education. The dissertation should serve as exemplary model of research that not only inform, but also elevate the discourse. Research may include, but is not limited to, campus diversity initiatives, curricular transformation, the impact of professional development, roles and responsibilities for chief diversity officers, influence of technology on diversity/equity, funding, and local and national policies and practices. A $500 monetary award will be granted to the recipient as well. About NADOHE - The National Association of Diversity Officers in Higher Education (NADOHE) serves as the preeminent voice for diversity officers in higher education. Its vision is to lead higher education towards inclusive excellence through institutional transformation. NADOHE currently has 200 institutional members and 220 individual members. For more information, please call 561-472-8479 or visit www.nadohe.org. Many of you have reached out to NADOHE Board members with dismay and disappointment regarding the Chronicle’s July 23rd commentary “How a New Report May Hasten the End of Racial Preferences in Admissions” (R. Kahlenberg’s, July, 2015). NAHOHE felt it important to weigh in on the report in question – the American Council for Education (ACE) report, Race, Class, and College Access: Achieving Diversity in a Shifting Legal Landscape (Espinosa, Gaetner, Orfield, 2015) – and to provide a counter narrative to Kahlenberg’s commentary. NADOHE interprets Race, Class, and College Access: Achieving Diversity in a Shifting Legal Landscape as a defense of affirmative action. As Chief Diversity Officers, we thank ACE for its efforts to provide valuable research that contributes to the body of knowledge surrounding diversity as a common good. We appreciate the report’s highlighting of recruitment strategies designed to achieve a diverse student mix on college campuses today in the face of a politically charged legal atmosphere that continues to challenge race conscious admissions. Further, NADOHE strongly disagrees with Kahlenberg’s assessment that this report undermines race-based admission practices and views his argument as an attempt to selectively choose data that support dismantling affirmative action in higher education. The ACE report has three main findings: 1) higher education institutions are using diversity strategies that are not receiving attention, 2) achieving student racial and ethnic diversity benefits from a “both/and” approach in which race neutral and race conscious practices are used together to produce results, and 3) reactions to the Fisher case are still evolving and more study is needed to fully understand the case’s implications. According to the report, survey respondents do take the Fisher decision ruling into consideration in their admissions practices: 89 percent of admissions and enrollment management professionals reported that they were either familiar or very familiar with the requirements of the Fisher case. This finding is consistent across public and private institutions and a range of institutional selectivity. Also noted in the research is a 2013 survey conducted by Inside Higher Ed that revealed that 92 percent of surveyed institutions believed that their admissions process met the narrow tailoring requirements of Fisher and therefore had no reason to alter their selection approaches. The ACE study also reported that many institutions did make changes post-Fisher to increase their diversity strategies. One of the strategies utilized was a focus on community colleges as a pipeline for recruiting diverse students; a quarter of institutions used this method as part of their overall diversity strategy. 78 percent of the institutions surveyed used targeted recruitment and outreach strategies to increase their diversity yield, and 71 percent conducted targeted outreach to low income and/or first generation students. In our perspective, these strategies represent a commitment by colleges and universities to adapt to the current legal landscape by developing a variety of methods to increase and ensure student diversity despite efforts by some to end affirmative action. Race, Class, and College Access: Achieving Diversity in a Shifting Legal Landscape also stresses that that issues of access and student success for racially and ethnically diverse students will continue to be a priority for American higher education and, in fact, the future of our nation depends on it. The reality remains that rapid demographic shift is upon us. The report states that 92 percent of the U.S. population growth in the last decade has been by people of color and that by 2050 minority populations will be the majority. Higher education must strategically embrace this inevitability and proactively respond to this demographic shift. The report shows that colleges and universities surveyed are aware of this future and are engaging in efforts to ensure access for students of all backgrounds. As many corporations and branches of the military argued in amicus briefs in the Fisher case, increasing diversity in American colleges and universities is an economic and social imperative not only for higher education but for the nation. Affirmative action and diversity in American higher education are moral, ethical, and business imperatives. Now is the time to redouble our efforts and find creative ways to recruit diverse students and ensure their success, regardless of the legal challenges that loom on the horizon. NADOHE serves as the preeminent voice for diversity officers in higher education and our charge is to lead higher education towards inclusive excellence. We stand firm in our defense of affirmative action and our resolve to work with American colleges and universities to increase diversity in higher education. In this charge, we remain resolute. For more information about NADOHE, please call 561-472-8479 or visit www.nadohe.org. PALM BEACH GARDENS, FL. 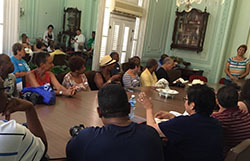 – July 30 2015 - A delegation of approximately 35 individuals representing the National Association of Diversity Officers in Higher Education (NADOHE) journeyed to Cuba, July 11 – 18, where they met with higher education professionals and others to learn more about higher education, diversity, and inclusion within the Cuban culture. The trip included a welcome by a representative of the Cuban Institute of Friendship with the People (ICAP), who shared information and answered general questions about the Cuban culture and people. 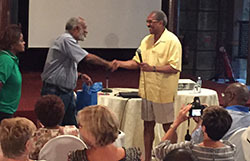 Throughout the week, the delegates also engaged in dialogue with representatives from the Cuban National Literacy Museum, Cuban Federation of Women, community healthcare representatives, U.S. students graduating from medical school in Cuba, a top expert on race relations in Cuba and a noted Cuban economist. According to NADOHE President Benjamin D. Reese, Jr., "The insight gained from this rich educational experience will inform our work on our own campuses, and internationally, as we continue to expand NADOHE's global reach." While visiting Cuba, there were opportunities for delegates to interface with the Cuban people, in their own communities. Howard Ross, Founder and Chief Learning Officer of Cook Ross, comments, "They (the Cuban people) work together in the face of extraordinary odds, with amazing tenacity, resourcefulness and creativity, to find a way to make life work. And they do it with a warmth and friendliness that is palpable." In light of the growing importance of engaging colleges and universities abroad, a NADOHE international membership category has been developed. NADOHE Second Vice President Archie Ervin notes, "This is one of several strategic next steps designed to deepen our understanding and increase NADOHE's effectiveness as a leader in the international arena ." One Cuban institution has already joined as a international Professional Organization member. Future international study trips are in the process of being organized. For more information on this or about NADOHE, please call 561-472-8479 or visit www.nadohe.org. PALM BEACH GARDENS, FL. – July 28, 2015 - The National Association of Diversity Officers in Higher Education (NADOHE) is pleased to announce the names of the two candidates who have been selected to participate in NADOHE's Chief Diversity Officer Fellows Program (CDOFP) for the 2015-2016 academic year. They are Michael D. Anthony, Ph.D., Chief Diversity Officer/Assistant Vice President for Student Affairs, Title IX Coordinator; and Rich A. Salas, Ph.D. Director- Multicultural Affairs, Des Moines University. A professional leadership program of mentorship for new and early career Chief Diversity Officers, the goal of the one academic year CDOFP is to provide the Fellow with mentoring by a senior level CDO which includes guided professional development experiences. At the beginning of the pilot year, each Fellow will collaborate with her/his Mentor to develop a Diversity Officer Leadership Plan (DOLP), visit the CDO Mentor's campus, shadowing the Mentor, and learn about diversity issues, policies, procedures, politics and campus climate of the Mentor's institution, as well as the mentor's leadership style, strategies, successes and challenges. The Mentor will also visit the Fellow's campus to better understand the diversity issues and challenges facing the Fellow. Throughout the balance of the academic year, the CDO Mentor and Fellow will meet regularly via teleconference. The Fellow will serve on NADOHE's Conference Committee, as well as develop an individualized professional development project to be presented at the NADOHE Annual Conference. At the conclusion of the Fellowship, the CDO Fellow and the Mentor will each complete a program assessment and final report highlighting the learning and leadership experience, including a formative and summative evaluation of the structure and substance of the fellowship and recommendations that might benefit future CDOFP participants. NADOHE President Benjamin D. Reese, Psy.D. notes "We are delighted to again offer this opportunity for an early career Chief Diversity Officer to obtain real time guidance and on the ground learning from a more senior colleague. The goal is to enhance the Fellow's professional knowledge and experience in order to stimulate strategic thinking and advance outcomes at their home institutions." This was was not my question, but I can't help but amplify your comment. I noted on an online publication a couple of days ago, in response to one university eliminating the chief diversity officer position that it is such a critical leadership position ... having someone 24 hours a day working on diversity and inclusion with the expertise to work with other senior leaders, providing leadership across the institution. The elimination of a CDO position is unthinkable, particularly in the context of what is happening nationally. In this recent online article, I further commented that I do not think any institution would merge their chief financial officer with the provost! Each role is critical, in and of itself. I couldn't help but comment on that. But, here is my question to you, the panel of experts. We have merged in our discourse the concept of diversity and race. The Supreme Court is dealing -- dealing directly with the issue of race, not so much the issue of diversity. There are leaders in the academy who are really strong proponents of diversity but they minimize race and then there are leaders who strongly engage diversity, and race is a significant part of the way they conceptualize and practice diversity. So our discourse, and often our thinking, conflates the broad issue of diversity with the issue of race. So I wonder if you can comment in terms of the role and responsibility of leadership, just how do we engage that challenge? How do we, as leaders, maintain an appropriate focus on race while we talk about the broader critically important concept of diversity? PALM BEACH GARDENS, FL. 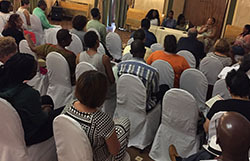 – July 15 2015 - A delegation of approximately 35 individuals representing the National Association of Diversity Officers (NADOHE) are in Cuba this week meeting with higher education professionals and others to learn more about higher education, diversity, and inclusion within the Cuban culture. Meetings began on Monday with a welcome by the Cuban Institute of Friendship with the People (ICAP). So far, the group has also met with representatives from the Cuban National Literacy Museum and participated in a lecture on "Higher Education in Cuba: Access and Challenges." PALM BEACH GARDENS, FL. – July 10 2015 - The NADOHE Board gathered this week for its annual retreat. At 10:00, am, EDT, today we watched as a collective the removal of the confederate flag from Columbia's South Carolina State House. We somberly watched the tumbling of a powerful symbol of racism and oppression. The significance of this historical moment weighs heavily upon our deliberations and strengthens our resolve to create inclusive environments in higher education and in society. This is the dawning of new day of diversity dialogue and moving forward as a country. PALM BEACH GARDENS, FL. – June 26 2015 - NADOHE applauds the Supreme Court of the United States decision in favor of marriage equality. SCOTUS in its 5 to 4 vote guarantees the constitutional right of marriage for all. Justice Kennedy wrote in this historic decision that "no longer may this liberty be denied." This is a historic day for the United States, a victory for gay rights and the activists who fought for the fundamental right of marrying the one they love. PALM BEACH GARDENS, FL. – March 19 2015 - The National Association of Diversity Officers in Higher Education (NADOHE), announced the winners of the Inclusive Excellence Awards during the association's Awards Ceremony on March 17, 2015, in Washington, DC, during the NADOHE Annual Conference. There were four categories awarded: Individual Leadership, Institutional Excellence, Outstanding Dissertation, and the Dr. Frank W. Hale, Jr. Distinguished Service Award. The award for Individual Leadership was awarded to Leslie Garcia, Assistant Chief Diversity Officer and Assistant Vice Provost at Oregon Health & Science University (OHSU), the only academic health center in the state of Oregon. As the Director of the OHSU Center for Diversity & Inclusion (CDI), Leslie leads university-wide initiatives to create an environment of respect and inclusion for all people. Through Leslie's leadership and ongoing efforts the Center for Diversity & Inclusion has grown and expanded to serve faculty, students and staff through a variety of programs, including diversity resources, cultural competency lectures, community outreach, employee resource groups, student pipeline programs, and committees that address diversity, inclusion and equity issues across OHSU. Also, as Co-Chair of OHSU's Diversity Advisory Committee (DAC), Leslie advises the OHSU executive leadership team in matters related to advancing and furthering diversity, inclusion and equity across campus. The award for Institutional Excellence was awarded to Des Moines University for its ongoing commitment to diversity and inclusion and recent intentional programming to bring diversity and inclusivity to all aspects of curricula, operations and culture. DMU's mission is "to improve lives in our global community by educating diverse groups of highly competent and compassionate health professionals." To accomplish this mission, the university's strategic plan goals include enhancing the cultural competency of employees and students, preparing students to serve diverse patient populations, and increasing access to health care for the underserved. The award for Outstanding Dissertation was awarded to Kara Gravley-Stack of North Dakota State University, for her dissertation Achieving Inclusive Excellence: The Role of Change Agents and Institutional Artifacts in Diversifying Institutions. In this paper, Kara developed an analytical rubric for evaluating institutional expressions of diversity commitment that can be applied to websites or many other documents. 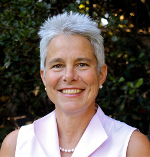 In addition, she offers a mixed method approach to her research questions that allows historic overview, document analysis, interview, and survey data which add up to a rich presentation of the field, and a strong argument for studying how change works through law, institutional belief and practice, chief diversity officers (individual persons and personalities), and documents. She demonstrates that enacting change is complex, and that studying how change occurs is necessary to creating purposeful enactments of inclusive excellence. The Dr. Frank W. Hale, Jr. Distinguished Service Award was awarded to President Mildred Garcia, of California State University, Fullerton, who has dedicated a substantial period of her career to promoting diversity initiatives in higher education. As the first Latina president in the California State University system, she understands the value of creating a pipeline of scholars from diverse backgrounds who will eventually become highly accomplished thought-leaders within the higher education community. Currently, President Garcia serves on President Obama's Advisory Commission on Educational Excellence for Hispanics, the board of the American Association of Hispanics in Higher Education, the executive committee of the Coalition of Urban and Metropolitan Universities, and the advisory board for Hispanic Outlook, among other national boards such as the American Association of State Colleges and Universities and the Association of Public & Land Grant Universities. PALM BEACH GARDENS, FL. – March 16, 2015 - NADOHE is pleased to announce a formal collaboration with the SREB Doctoral Scholars Program of the Southern Regional Education Board (SREB). Under the direction of Dr. Ansley A. Abraham, SREB's Doctoral Scholars Program has become a nationally recognized leader in working to increase the diversity of faculty in institutions across the Southern United States. The program provides multiple layers of support, including financial assistance, academic/research funding, career counseling and job postings. Benjamin D. Reese, Jr, president of NADOHE, said, "We look forward to creative joint projects and programs that engage our broad network of CDOs with SREB's experience and track record of support to faculty. Given the slow pace of increasing faculty diversity across our nation, we envision this collaboration to help quicken the pace of enhancing diversity in institutions across the Southern United States"
PALM BEACH GARDENS, FL. – March 3, 2015 -The National Association of Diversity Officers in Higher Education (NADOHE) is pleased to announce its partnership with the Minority Male Community College Collaborative (M2C3), a project of San Diego State University's Interwork Institute, established to partner with community colleges across the United States to enhance success for men of color. NADOHE President Benjamin D. Reese, Psy.D. notes "We are proud to partner with an initiative which will allow us to devise strategies to expand the opportunities available to minority males, and which will provide support through educational and personal enrichment efforts." The M2C3 consortium is comprised of community colleges that share efforts about innovative policies and practices for addressing the achievement gap facing underrepresented men. Partner colleges participate in capacity efforts, including M2C3 webinars on men of color, information-sharing sessions on promising practices and common barriers faced by minority male programs, and participate in working group meetings. All new Board of Directors members will take the Oath of Office during NADOHE's Annual Membership Meeting, in Washington, DC, on March 17. NADOHE serves as the preeminent voice for diversity officers in higher education. Its vision is to lead higher education towards inclusive excellence through institutional transformation. NADOHE currently has 198 institutional members and 201 individual members. For more information, please call 561-472-8479 or visit www.nadohe.org. (Palm Beach Gardens, FL) November 24, 2014: The National Association of Diversity Officers in Higher Education (NADOHE) released its much anticipated Standards of Professional Practice for Chief Diversity Officers (CDOs) on November 24, a document that will advance the professionalization of the CDO role across institutions of higher education. The standards are useful guideposts meant to clarify and specify the scope, scale, and flexibility of work CDOs perform. "Given the growth of the CDO role across the nation, we thought it important to provide suggested guidelines, that we anticipate will be adjusted to individual institutional environments and the needs of each college or university," said Benjamin Reese Jr, Vice President and Chief Diversity Officer at Duke University and President of NADOHE. Freeman A. Hrabowski, III, President, University of Maryland Baltimore Maryland, remarks, "The role of Chief Diversity Officer (CDO) on many campuses is more important than ever to our national economic competitiveness. The demographics of our nation are changing rapidly. These new standards, developed by NADOHE, will facilitate the work of CDOs in changing campus culture and strengthening inclusiveness." "Like diversity itself, chief diversity officers have proliferated across the academic landscape with often at best a vague understanding of their potential, or desired, role and impact. This important effort is the first to articulate a comprehensive set of standards that will both define and professionalize the role. A must-read for university Presidents, Provosts and their Boards of Governance," comments Ana Mari Cauce, Provost, University of Washington. Damon A. Williams, author of the books Strategic Diversity Leadership and The Chief Diversity Officer: Strategy, Structure, and Change Management said, "This contribution by NADOHE is sure to strengthen the work of diversity leaders nationally. It is thoughtful, well researched, and timely, as it contributes to a growing body of literature focused on strengthening the capacity of officers to provide collaborative leadership towards inclusive excellence at their institutions." Though the standards speak to professional practice and qualifications typical of a CDO, they are not meant to serve as a hiring guide. Instead, the standards are a tool to facilitate the advancement of significant and effective change on college and university campuses by emphasizing the CDO role as an organizational change agent for equity, diversity and inclusion. Mildred García, President of California State University Fullerton, said, "The students in our higher education institutions nationwide are the most diverse they have been in the history of our country. As this nation becomes majority/minority, the NADOHE Standards of Professional Practice for Chief Diversity Officers provides the guidelines for all institutions of higher education to ensure that we are serving our new majority and the faculty, staff and administrators that serve them. These standards uphold the very best and point to how higher education institutions should examine, create and institute a chief diversity officer that fits their institutions' mission statement and ensures that we are building the very best communities of difference that upholds academic excellence for all who enter our institutions." "While no ‘Standards' can reflect the wide range of institutions, organizational structures and varied professional backgrounds of all CDOs, the ‘Standards' provide well thought-out and comprehensive guidelines that can assist current (and aspiring) CDOs in providing effective institutional leadership," notes Benjamin D. Reese, Jr., President, NADOHE. "I applaud NADOHE for their tireless efforts in creating a comprehensive set of standards that will serve to professionalize both role and function of Chief Diversity Officers for many years to come. In creating these uniform standards, NADOHE is providing an outstanding roadmap from which colleges and universities can begin or accelerate their journeys towards inclusive excellence," remarked Glen Jones, President, Henderson State University. "NADOHE's standards of professional practice for Chief Diversity Officers help us more clearly envision and understand how the leaders we choose for these positions can have a meaningful and impactful role in creating and shaping campus culture," said Andy Brantley, President and CEO of the College and University Professional Association for Human Resources (CUPA-HR). NOTE: A copy of the Standards is attached to this press release. The standards are copyrighted material and should not be reprinted in whole or in part without permission from NADOHE. Palm Beach Gardens, FL (November 13, 2014) - NADOHE is encouraged by the November 12, 2014, decision by the full (en banc) Fifth Circuit U.S. Court of Appeals, which voted 10 to 5 against rehearing a second round of Fisher Vs. University of Texas. The plaintiff, Abigail N. Fisher, appealed, but was denied a hearing by the full court on Wednesday. NADOHE remains committed to the principle that qualified student applicants from a diversity of backgrounds continue to get a close look and fair opportunity to attend all of our nation's colleges and universities. Notes NADOHE president Benjamin D. Reese, Jr., "While this recent action seemingly leads us ultimately to a Supreme Court decision, we need to continue to stay focused on providing broadly inclusive learning environments that have been shown to contribute to enhanced creativity and that prepare our students for the diverse work and living environments of the present ... and future." PALM BEACH GARDENS, FL. – October 21, 2014 - The National Association of Diversity Officers in Higher Education (NADOHE) is seeking nominations for their 2015 Inclusive Excellence Awards. The awards recognize and honor individuals and/or institutions for exemplary achievements and contributions to lead higher education towards inclusive excellence and institutional transformation through the study of diversity by means of research, leadership, or service. NADOHE President Benjamin D. Reese, Psy.D. notes, "We are delighted to offer this unprecedented opportunity to acknowledge and reward innovation in inclusive excellence. NADOHE's goal is to encourage fellow professional individuals and institutions to implement comprehensive policies, practices and initiatives designed to achieve inclusive excellence, and increase the profile of innovative inclusive excellence practices within colleges and universities." Nominations must be received no later than January 10, 2015 by mail, email or fax. Nomination instructions and information are available at www.nadohe.org/news#2015inclusive. Award recipients will be recognized at the NADOHE's 2015 Annual Conference on March 16 - 18, 2015 in Washington, D.C.
About NADOHE National Association of Diversity Officers in Higher Education (NADOHE) serves as the preeminent voice for diversity officers in higher education. Its vision is to lead higher education towards inclusive excellence through institutional transformation. NADOHE currently has 180 institutional members and 140 individual members. For more information, please call 561-472-8479 or visit www.nadohe.org. PALM BEACH GARDENS, FL. – July 22, 2014 -The National Association of Diversity Officers in Higher Education (NADOHE) is pleased to announce the names of the two candidates who have been selected to participate in NADOHE's inaugural Chief Diversity Officer Fellows Program (CDOFP) for the 2014-2015 academic year. They are Sumun L. Pendakur, Ed.D., Associate Dean for Institutional Diversity, Office of Institutional Diversity, Harvey Mudd College, Claremont, CA; and Ande Diaz, Ph.D., Associate Provost for Diversity & Organizational Development, Allegheny College, Meadville, PA. They were selected from a field of very talented applicants. Sumun L. Pendakur, Ed.D. Ande Diaz, Ph.D.
A professional leadership program of mentorship for new and early career Chief Diversity Officers, the goal of the one academic year CDOFP is to provide the Fellow with mentoring by a senior level CDO and guided professional development experiences. At the beginning of the pilot year, each Fellow will collaborate with her/his Mentor to develop a Diversity Officer Leadership Plan (DOLP), visit the CDO Mentor's campus, shadowing the Mentor, and learning about diversity issues, policies, procedures, politics and campus climate of the Mentor 's institution, as well as the mentor's leadership style, strategies, successes and challenges. The Mentor will also visit the Fellow's campus to better understand the diversity issues and challenges facing the Fellow. Throughout the balance of that academic year, the CDO Mentor and Fellow will meet regularly via teleconference. The Fellow will serve on NADOHE's Conference Committee, as well as develop an individualized professional development project to be presented at the NADOHE Annual Conference. At the conclusion of the Fellowship, the CDO Fellow and the Mentor will each complete a program assessment and final report highlighting the learning and leadership experience, including formative and summative evaluation of the structure and substance of the fellowship and recommendations that might benefit future CDOFP participants. The Fellows will receive grants to facilitate the Fellowship year. NADOHE President Benjamin D. Reese, Psy.D. notes "We are delighted to offer this unprecedented opportunity for a new and/or early career Chief Diversity Officer to obtain real time guidance and on the ground learning from a more senior colleague. The goal is to enhance the Fellows' professional knowledge and experience in order to stimulate strategic thinking and advance outcomes at their home institutions." NADOHE is heartened by the July 15, 2014 ruling of the Fifth Circuit Court of Appeals which determined that the University of Texas at Austin's holistic review admissions policy meets the strict scrutiny standard. In a 2-1 decision, it upheld the consideration of race as a factor in admissions decisions. Notes NADOHE president Benjamin D. Reese, Jr., "This affirms our strongly held belief that a holistic and broadly inclusive consideration of the total range of human qualities, including race, is critical to a vibrant learning environment. The complexity of today's global work environment and the context of American history underscores the necessity of thinking broadly and holistically about optimum learning environments and the shaping of human lives." NADOHE remains committed to the principle that qualified student applicants from a diversity of backgrounds continue to get a close look and fair opportunity to attend all of our nation's colleges and universities. In response to the June 24, 2013, U.S. Supreme Court decision in Fisher v University of Texas at Austin, 570 U.S. ___, (2013), NADOHE developed a document entitled, Chief Diversity Officers: Leading And Engaging In Campus Deliberations On Post-Fisher Admissions Strategies, which contains practical information and strategies that can be utilized to lead and engage in campus deliberations on admissions strategies post-Fisher. PALM BEACH GARDENS, FL. – April 24, 2014 - While disappointed that the U.S. Supreme Court, in Schutte v. Coalition to Defend Affirmative Action, reversed the 6th Circuit Court of Appeal's determination that Michigan's Proposal 2 that prohibits the consideration of race as one of many factors in admissions decisions was unconstitutional, its decision did not overturn Grutter v. Bollinger. Grutter is still the law of the land in those States that are not similarly restricted in the limited use of race as a consideration in admissions. Grutter stands for the proposition that educational benefits are derived by having a diverse student body on our campuses, a principle that drives much of the work we do as chief diversity officers (CDOs) in U.S. higher education. We should not be discouraged in our work, and must see this decision as an opportunity for CDOs to continue to connect with our campus colleagues and work to ensure that strategies intended to encourage and result in a diverse student body are innovative, aggressive, and can stand under the strictest scrutiny by the courts. In her dissent, Justice Sotomayor, joined by Justice Ginsburg wrote: "We are fortunate to live in a democratic society. But without checks, democratically approved legislation can oppress minority groups. For that reason, our Constitution places limits on what a majority of the people may do." It was her opinion that the history of this country stymied "the right of racial minorities to participate in the political process" and that when necessary, like in the case of the right to vote, "This Court intervened to preserve that right." Justices Sotomayor and Ginsburg saw this case as involving "this last chapter of discrimination: A majority of the Michigan electorate changed the basic rules of the political process in that State in a manner that uniquely disadvantaged racial minorities." It is now up to the citizens of Michigan to determine what happens next, but NADOHE's position is clear. CDOs will continue to provide leadership in fostering diverse and inclusive campuses in support of educational excellence. In its publication Chief Diversity Officers: Leading and Engaging in Campus Deliberations on Post-Fisher Admissions Strategies, NADOHE provides practical information and strategies for CDOs to lead and engage in campus deliberations on admissions strategies. The U.S. Supreme Court has again presented us with an opportunity to do our best work to advance diversity and inclusion in U.S. higher education—the stakes are too high if we do not. NADOHE's publication can be found at: http://www.nadohe.org/assets/docs/nadohe-white-paper-post-fisher-admission-strategies.pdf. 3/13/14 West Palm Beach, Florida: The 2014 NADOHE 8th Annual Conference posted a high attendance once again in San Diego, California with approximately 230 institutional and individual members and guests. This year's conference theme: Strategic Catalyst: Constructing New Horizons in Higher Education reflected how today's CDO is a strategic catalyst for achieving a more supporting and stimulating learning environment- locally and globally within the 21st century landscape of higher education. Highlights of the conference included the New Chief Diversity Officer Institute, the NADOHE Awards Reception with live entertainment by the award-winning slam poet duo, Sister Outsider Poetry, and world-class keynote presentations by Daryl G. Smith, PhD, Senior Research Fellow and Professor Emerita of Education and Psychology, Claremont Graduate University (CA), and Mitchell J. Chang, PhD, Professor of Higher Education and Organizational Change and Asian American Studies, University of California, Los Angeles. Smith delivered a powerful opening address titled Diversity's Promise for Excellence in Higher Education: The Strategic Role of the Chief Diversity Office, and Chang concluded the conference with an enlightening closing address titled The Importance of Changing Altitude: Lessons from Flying where he drew from his own research, career, and pilot training to help CDOs consider some disadvantages associated with success and the importance of constantly changing altitude to gain different perspectives that facilitate their work as strategic catalysts for advancing diversity. Benjamin D. Reese, Jr., NADOHE president notes, "I agree with many of the comments heard over the last few days, 'this may have been our best conference yet! Packed with research findings, best practice models and a lively Annual Membership Meeting, the Conference Planning Committee structured a deeply engaging and well-paced meeting. One of my personal highlights was a town-hall-like gathering where members heard a report from the Presidential Task Force on Professional Standards. After the presentation of the draft document, the members were asked to critique each standard. As an hour long spirited conversation came to a close, it was so gratifying to hear, not only accolades for the outstanding work of the Task Force, but praise for the openness and transparency of the process and the responsiveness of the facilitators. Thankfully, we won't have to wait an entire year for an opportunity to see and interact with dear colleagues, the coming months will see a significant up tick of Association events and opportunities for professional development and networking." In addition to successful breakout sessions, keynotes, and the New CDO institute, two prestigious awards were granted-one to Rebecca Tsosie of the Arizona State University, Madison for Individual Leadership and the other to the Kent State University for Institutional Excellence. Rebecca Tsosie is the professor of law, Williard H. Pedrick Distinguished Research Scholar at the Sandra Day O'Connor College of Law; Affiliate Professor at the American Indian Studies Program; Executive Director at the Indian Legal Program; and Faculty Fellow at the Center for the Study of Law, Science, and Technology. Tsosie serves on the Fort McDowell Yavapai Nation Supreme Court and the San Carlos Apache Court of Appeals. She teaches constitutional law, critical race theory, federal Indian law and property, and is a faculty fellow in the law school's Center for Law and Global Affairs and an affiliate professor in ASU's American Indian Studies Program. She also serves on the Provost Advisory Council for Native Americans. Diane Humetewa, former U.S. Attorney for the District of Arizona, has watched Tsosie open doors for Native women in the law and indicated, “She's an Indian law superhero. She just needs a cape." Kent State is the 2nd largest university in Ohio and has one of the largest regional campus systems nationwide. Given the depth and breadth of Kent State's internal and external constituents, the university took bold steps in 2008 to form a Commission on Inclusion. The results led to the creation of Kent States' first Division of Diversity, Equity & Inclusion and the hiring of a cabinet level executive officer to serve as the Vice President. This hire and formation of the division in fall 2009 was the start of transformational changes and innovative practices, which have worked to cultivate a climate of inclusive excellence and sustainable efforts to promote diversity. Under the leadership of Vice President, Dr. Alfreda Brown, the division has grown to include several key areas and spearheaded university-wide, strategic measures rooted in accountability, sustainability and evidence-based practices. Since 2009, Kent State University's most outstanding initiatives have been the Diversity Scorecard, Diversity, Equity and Inclusion (DEI) Equity Action Plan, University Diversity Action Council (UDAC), DEI Education & Training Lab, Inclusive Actions Movements, Supplier Diversity (Collaborative effort with Finance & Administration), Faculty Diversity Efforts, Student Diversity Effort, President's Ambassadorship, and the Diversity Advisory Board. These initiatives represent a snapshot of the multitude of efforts in which Kent State has led to promote transformative, institutional-wide diversity efforts. During the annual conference, NADOHE's newly elected board members and officer took the oath of office at the annual membership meeting on Tuesday, March 11. The newly elected board members are Kenneth Coopwood, Vice President for Diversity and Inclusion at Missouri State University, Kevin McDonald, Vice President, and Chief Diversity Officer with Rochester Institute of Technology, Wanda S. Mitchell, Vice President for Inclusive Excellence, VCU Title IX Coordinator Affiliate Professor, Counselor Education at Virginia Commonwealth University, and Carmen Suarez, Chief Diversity Officer and Associate Vice Provost for Student Affairs, Diversity and Human Rights at University of Idaho. Wanda Mitchell served previously as a NADOHE board member and officer. 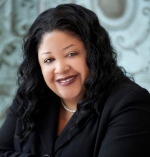 The newly elected officer is Paulette Granberry Russell, Senior Advisor to the President for Diversity, Director, Office for Inclusion and Intercultural Initiatives, Michigan State University who was elected to serve as NADOHE's first vice president. Excelencia recently announced the availability of What Works for Latino Students in Higher Education, the 2013 Compendium. Examples of Excelencia is the only national initiative to systematically identify and honor programs boosting Latino enrollment, performance and graduation with evidence of effectiveness. While there are a growing number of community-based programs worthy of recognition for their efforts to increase Latino student success, Examples of Excelencia focuses on institution-based programs and departments. These programs do not serve Latino students exclusively, but each program disaggregates their data and can demonstrate success with Latino students. Detailed information about outstanding programs that support Latino students' success are included. The compendium is a central component of the Examples of Excelencia initiative. By sharing what works, the organization hopes to prompt educators and policymakers to take an asset-based approach to serving Latino students and inspire these decision makers to work to increase Latino student success by supporting, replicating, and bringing to scale evidence-based practices. For more information, go to http://www.edexcelencia.org/. In June 2013, a survey was distributed to members so that NADOHE leaders could better understand member perception of benefits, ways that NADOHE could better meet member needs, and issues affecting members now and in the future. The survey was distributed to 321 members of which 38% (122) responded. The top three most valuable NADOHE services identified by respondents were (in rank order): the annual conference, the Journal of Diversity in Higher Education, and the Diverse Issues in Higher Education subscription. Networking was also indicated as an important benefit. Participants highlighted a number of ways that NADOHE could enhance their membership experience which includes: more mentoring opportunities, hosting regional conferences, highlighting best practices in the field, and providing enhanced training opportunities like webinars, professional development trainings, and Institutes. Issues that NADOHE should address in the future were suggested and include: training, information, and resources on affirmative action policies and rulings; maximizing CDO operations with limited resources; enhancing involvement from Presidents and board members; focusing on a wider range of diversity issues (e.g., religion, LGBT issues, disability); providing an enhanced focus on assessment, evaluation, and the utilization of dashboards; and training on emerging trends. During the NADOHE Board of Directors meeting in July, the survey results were reviewed and board members discussed the value of member feedback. Some member suggestions are currently being addressed including the offering of webinars such as the most recent one, The Chief Diversity Officer: Strategy, Structure, and Change Management, and the upcoming webinar on October 10, From Law to Action: Understanding the Supreme Court's Decision in Fisher v. the University of Texas at Austin, with more scheduled in 2014. The development of CDO core competencies is being conducted by a special task force led by Roger Worthington, editor, Journal of Diversity in Higher Education, and a CDO Fellows program, is also in the works. This effort is being facilitated by NADOHE board member Christine Stanley. According to NADOHE president, Benjamin D. Reese, Jr, "We take this member feedback very seriously. We will respond to the concerns expressed and act on the recommendations. As always, I and the Board exist to serve the membership." Additional recommendations by members will be explored and folded into planning for the association's next strategic planning cycle, 2014 - 2019. The proposed strategic plan will be available for review by members at the 2014 membership meeting in San Diego, CA, March 11, 2014. NADOHE Membership committee chair and second vice president Archie Ervin noted, "It is critical that NADOHE remain relevant and ahead of the curve. Feedback such as this will inform and be incorporated into the strategic direction of this association." NADOHE would like to acknowledge Adriel A. Hilton, PhD, Assistant Vice President, Inclusion Initiatives, Grand Valley State University, and J. Luke Wood, PhD, Assistant Professor, Community College Leadership, San Diego State University, who developed and provided analysis of the survey results. As a method to strengthen the common goal of inclusive excellence in higher education, the National Association of Diversity Officers in Higher Education (NADOHE) recently approved the formation of the Georgia Association of Diversity Officers in Higher Education (GADOHE). The mission of the GADOHE is to provide leadership and advocacy for inclusive excellence, to offer a forum for the exchange of ideas and professional development for higher education diversity officers and to promote research and evidenced based policies, programs and solutions to issues of diversity, equity and inclusion in higher education. "Several higher educational institutions in Georgia have accomplished histories of inclusive excellence while others are just beginning their journey"; said Dr. Kent Guion, GADOHE chair. "The establishment of the GADOHE is a great opportunity to benefit from the collective wisdom of diversity professionals in higher education throughout the state and also learn from other affiliate chapters throughout the country." PALM BEACH GARDENS, FL - July 24, 2013 - In response to the June 24, 2013, U.S. Supreme Court decision in Fisher v University of Texas at Austin, 570 U.S. ___, (2013), NADOHE has developed a statement entitled, Chief Diversity Officers: Leading And Engaging In Campus Deliberations On Post-Fisher Admissions Strategies, which contains practical information and strategies that can be utilized to lead and engage in campus deliberations on admissions strategies post-Fisher. This decision is of major significance to higher education. According to NADOHE President Benjamin D. Reese, Jr, "The National Association of Diversity Officers in Higher Education (NADOHE) remains firm in its resolve that equal opportunity in education in this nation is a fundamental right and that the consideration of race as a factor in admissions, consistent with the law, is essential in advancing diversity and inclusive excellence in U.S. higher education." NADOHE serves as the preeminent voice for chief diversity officers in higher education by supporting their leadership and engagement of senior administration officials, especially at this critical time. The intent of this statement is to provide practical information and strategies that can be utilized to lead and engage in campus deliberations on admissions strategies post-Fisher, notes Reese, "It is imperative that we continue to be zealous advocates for maintaining and increasing the diversity of students within our campus communities -- and as CDOs, we are well positioned to do just that." NADOHE will continue to follow the broad range of debate regarding the impact of the Court's opinion and is encouraging others to gain a deeper understanding of the issues presented in the recent decision in the Fisher case, including position statements, research, and learning opportunities that are being offered by various higher education associations. The NADOHE Statement: Chief Diversity Officers: Leading and Engaging in Campus Deliberations on Post-Fisher Admissions Strategies, was co-authored by Paulette Granberry Russell, Rosemary E. Kilkenny, Archie W. Ervin, Roger L. Worthington, Raji S.A. Rhys, and Benjamin D. Reese. Camille Jackson is gratefully acknowledged for her role in editing the statement. The statement accompanies this press release. For more information about NADOHE, please call 561-472-8479 or visit www.nadohe.org. The National Association of Diversity Officers in Higher Education will continue to review and analyze the U.S. Supreme Court's opinion today in Fisher v University of Texas, Austin, http://www.supremecourt.gov/opinions/12pdf/11-345_l5gm.pdf. However, we are pleased that the Court did not overturn its earlier approval that diversity in higher education is a compelling national interest. By not overturning its 2003 opinion in Grutter v University of Michigan there is a recognition that talented students from a variety of backgrounds should get a close look and a fair chance at overcoming obstacles to higher education. Providing a diverse learning environment benefits students, our nation's workforce, and the country as a whole. Dr. Benjamin D. Reese, Jr., President of NADOHE stated: "Over the next days and weeks, NADOHE will continue to review this decision and consult with our member institutions and fellow chief diversity officers as we further analyze the impact of today's opinion of the Court. We are especially concerned that by not affirming the carefully constructed admission process of the University of Texas, and remanding the case for further proceedings consistent with the Court's Opinion that the reviewing court must "ultimately be satisfied that no workable race-neutral alternatives would produce the educational benefits of diversity" will require proof of extraordinary efforts to exhaust such race-neutral alternatives." NADOHE remains committed to the principle that qualified student applicants from a diversity of backgrounds continue to get a close look and fair opportunity to attend all of our nation's colleges and universities. 3/25/13 West Palm Beach, Florida: The 2013 NADOHE Annual Conference posted record attendance with more than 234 institutional and individual members and guests. This year's conference theme: Diversity Matters: Access and Inclusion, 2013 and Beyond reflected the significant role Chief Diversity Officers play across our nation's higher education campuses. Highlights of the conference included the premier of the New Chief Diversity Officer Institute, which was so well attended there was standing room only; a provocative opening afternoon Leadership Institute covering strategic diversity leadership lead by acclaimed author Damon Williams; and, world-class keynote presentations by Jonathan Alger, President, James Madison University, and Dr. Derald Wing Sue, Teachers College, Columbia University, extending the conversation about the future of diversity in higher education. Benjamin D. Reese, Jr., NADOHE president notes, "We have worked hard to provide networking and high quality professional development opportunities for our membership. The growth in conference attendees is truly gratifying. Kudos to our conference planning committee." In addition to successful breakout sessions, keynotes, and the premier of the New CDO institute, two prestigious awards were granted-one to Damon Williams of the University Wisconsin, Madison for Individual Leadership and the other to the University of Central Florida for Institutional Excellence. Damon Williams is the associate vice chancellor, vice provost, and chief diversity officer at the University of Wisconsin, Madison. During his four-and-a-half years of leadership at UW–Madison, Williams led the creation of the Division of Diversity, Equity, and Educational Achievement (DEEA), a new chief diversity officer divisional infrastructure designed to enhance strategic impact, collaborative possibilities, and equitable educational outcomes on local, national, and global levels. "It's an honor to be recognized by my peers," says Williams. "This is truly a reflection of the diligence and institutional commitment of my colleagues at UW-Madison, and elsewhere, who remain focused on creating campus communities that are inclusive and excellent for all. I am humbled to have this recognition and motivated to do even more, particularly as we move forward with our newest campus-wide diversity strategic plan at UW-Madison." The University of Central Florida was established on June 10, 1963 as a non-segregated and coeducational university, with the founding goal being to educate current and future students for careers in engineering, electronics and other technological areas. In 1992, Dr. John C. Hitt became the 4th president and established "To become more inclusive and diverse" as one of five strategic goals. Despite the fact that central Florida was an extremely conservative region and disregarding threats to withdraw various forms of support to the university, President Hitt went against community norms and established the Office of Diversity Initiatives and a variety of structures, programs, and processes designed to achieve UCF's diversity and inclusion goal. The university is celebrating its 50th anniversary this year. Additionally, NADOHE outgoing board members, who were also founding members of the board of directors, were graciously recognized for their years of service to the organization. This includes: Rosemary Kilkenny, Vice President Institutional Diversity & Equity at Georgetown University and former NADOHE treasurer and board member; and Glen Jones, President, Henderson State University and past NADOHE president. The newly elected board member is Marilyn Mobley, Vice President Inclusion, Diversity & Equal Opportunity Professor of English at Case Western Reserve University. The following are re-elected board members, all of whom will serve an additional three-year term: Jeanne Arnold, Vice President for Inclusion and Equity at Grand Valley State University; Joan Holmes, Assistant to the President for Equity and Special Programs at Hillsborough Cmmunity College; and, Raji Rhys Special Advisor to the President for Diversity and Inclusion at The University of Arizona. More information on the conference will be available soon. Check the NADOHE website for updates, http://www.nadohe.org/conferences, to register for upcoming events and to read current news. NADOHE serves as the preeminent voice for diversity officers in higher education. Its vision is to lead higher education towards inclusive excellence through institutional transformation. NADOHE currently has 180 institutional members and 140 individual members. For more information, please call 561-472-8479 or visit www.nadohe.org. PALM BEACH GARDENS, FL. - November 27, 2012 - Jonathan Alger, and Derald Wing Sue are confirmed as keynote speakers for the 2013 NADOHE Annual Conference, March 4 - 6, Washington, DC. Jonathan Alger, President, James Madison University, will discuss "Reflections and Forecasts on the Future of Diversity as a Compelling Interest in Higher Education," during the opening keynote address on Tuesday, March 5, 2013. Derald Wing Sue, Professor of Psychology and Education, Columbia University, Co-Founder and First President, Asian American Psychology Association will discuss "Microaggressions in Higher Education: Race, Gender & Sexual Orientation," during the closing keynote address on Wednesday, March 6, 2013. The conference theme is Diversity Matters: Access and Inclusion, 2013 and Beyond given that 21st century CDO's have a significant role to play in creating campus environments that are diverse, inclusive, and relevant for all that live, learn, and work in post-secondary education. In 2003, the U.S. Supreme Court, in an opinion delivered by Justice Sandra Day O'Connor (Grutter v Bollinger), decided that diversity mattered as the University of Michigan's law school advocated for the consideration of race, as one of many diversity factors to be considered in making admission decisions. The benefits associated with having a, broadly defined, diverse campus community are, as noted by the Court, substantial. Beyond promoting cross-racial understanding, diversity breaks down stereotypes that persist based on individual background and group identity, and results in classroom discussions that are "livelier, more spirited, and simply more enlightening and interesting" when the students have "the greatest possible variety of backgrounds..." Future employers expect our students to work with diverse teams, be prepared to engage across cultures, and otherwise, effectively perform their job responsibilities in the global marketplace. More information on additional conference educational and networking activities will be available soon. Check the NADOHE website for updates, http://www.nadohe.org/conferences, and/or to register for the conference. On October 10, the U.S. Supreme Court will hear oral arguments in Fisher v. University of Texas at Austin. The case directly addresses the issue of ethnic and racial diversity as central to the American educational enterprise. The Fisher case has generated over ninety amicus curiae briefs, one of the largest responses for any case coming before the Supreme Court. Ten of the nation's higher education associations, the American Association for Affirmative Action, the American Association of Collegiate Registrars and Admissions Officers , the American Council on Education, the American Indian Higher Education Consortium, the Association of American Colleges and Universities, the Association of American Medical Colleges, College and University Professional Association for Human Resources, the Hispanic Association of Colleges and Universities, the National Association of Diversity Officers in Higher Education, and the National Association for Equal Opportunity in Higher Education, have joined together to release the following statement. In 2003, Justice Sandra Day O'Connor wrote for the majority in the Supreme Court's 5-4 Grutter v. Bollinger decision. The court ruled that student diversity is a compelling interest and that the University of Michigan Law School was properly considering race as one of the factors in a holistic review of applications for admission. The court noted that a student body diverse in race and ethnicity brings a myriad of experiences that benefit the entire group. Such exposure broadens the vision and understanding of classmates and adds value to the learning experience. This benefit flowing from a diverse experience extends to higher education, to the nation's workforce, to the military, and to the national economy in the global environment. Institutional climate and responsiveness to diversity closely correlate with academic excellence and equity. Through institutional diversity students can benefit from the intellectual, cultural, civic, religious and personal experiences of a range of students, reflecting the richness of this heterogeneous, pluralistic society. They can learn the tolerance, coexistence and ecumenical spirit of shared values and common destinies that make America strong. Educational autonomy is grounded in the First Amendment and it includes the freedom of a university to make its own judgments as to the selection of its student body. The Grutter decision confirmed this. The University of Texas should be accorded such deference in this case. WHO: American Association for Affirmative Action (AAAA), American Council on Education (ACE), American Indian Higher Education Consortium (AIHEC), Association of American Medical Colleges (AAMC), College and University Professional Association for Human Resources (CUPA-HR), the Hispanic Association of Colleges and Universities (HACU), National Association of Diversity Officers in Higher Education (NADOHE), and the National Association for Equal Opportunity in Higher Education (NAFEO). Founded in 1918, the American Council on Education (ACE) is the major coordinating body for all the nation's higher education institutions, representing more than 1,600 college and university presidents, and more than 200 related associations, nationwide. It provides leadership on key higher education issues and influences public policy through advocacy. For more information, please visit www.acenet.edu or follow ACE on Twitter @ACEducation. Founded in 1974, the American Association for Affirmative Action (AAAA) is a national not-for-profit association of professionals working in the areas of affirmative action, equal opportunity, and diversity. AAAA assists its members to be more successful and productive in their careers. It also promotes understanding and advocacy of affirmative action to enhance access and equality in employment, economic and educational opportunities. For more information, go to www. affirmativeaction.org. About the American Association of Collegiate Registrars and Admissions Officers: AACRAO is a nonprofit, voluntary, professional association of more than 11,000 higher education admissions and registration professionals who represent more than 2,600 institutions and agencies in the United States and in over 40 countries around the world. The mission of the American Association of Collegiate Registrars and Admissions Officers is to serve and advance higher education by providing leadership in academic and enrollment services. For more information, go to www.aacrao.org. The Association of American Colleges and Universities (AAC&U) is the leading national association concerned with the quality, vitality, and public standing of undergraduate liberal education. Its members are committed to extending the advantages of a liberal education to all students, regardless of academic specialization or intended career. Founded in 1915, AAC&U now comprises more than 1,250 member institutions—including accredited public and private colleges, community colleges, and universities of every type and size. AAC&U organizes its work around five broad goals: 1) A Guiding Vision for Liberal Education, 2) Inclusive Excellence, 3) Intentional and Integrative Learning, 4) Civic, Diversity, and Global Engagement, and 5) Authentic Evidence. For more information, go to www.aacu.org. Founded in 1876 and based in Washington, D.C., the Association of American Medical Colleges (AAMC) is a not-for-profit association representing all 138 accredited U.S. and 17 accredited Canadian medical schools; nearly 400 major teaching hospitals and health systems, including 51 Department of Veterans Affairs medical centers; and nearly 90 academic and scientific societies. Through these institutions and organizations, the AAMC represents 128,000 faculty members, 75,000 medical students, and 110,000 resident physicians. Additional information about the AAMC and U.S. medical schools and teaching hospitals is available at www.aamc.org/newsroom. Founded in 1946, the College and University Professional Association for Human Resources (CUPA-HR) serves as the voice of human resources in higher education, representing more than 15,000 human resources professionals at over 1,800 colleges and universities across the country. Its membership includes 92 percent of all United States doctoral institutions, 75 percent of all master's institutions, 60 percent of all bachelor's institutions, and nearly 600 two-year and specialized institutions. For more information, go to www.cupahr.org. The Hispanic Association of Colleges and Universities (HACU) fulfills its mission by promoting the development of member colleges and universities, improving access to and the quality of post-secondary educational opportunities for Hispanic students, and meeting the needs of business, industry and government through the development and sharing of resources, information and expertise. For more information, go to www.hacu.net. Founded in 2006, the National Association of Diversity Officers in Higher Education (NADOHE) is leading higher education towards inclusive excellence through institutional transformation. NADOHE serves as the preeminent voice for diversity officers in higher education by supporting collective efforts towards attainment of the production and dissemination of empirical evidence through research to inform diversity initiatives, the identification and circulation of exemplary practices, by providing professional development for current and aspiring diversity officers, informing and influencing national and local policies, and creating and fostering networking opportunities. NADOHE has 175 institutional members and 125 individual members. For more information, go to www.nadohe.org. The National Association for Equal Opportunity in Higher Education (NAFEO) is the not-for-profit umbrella organization of the nation's Historically Black Colleges and Universities (HBCUs) and Predominantly Black Institutions (PBIs). Founded in 1969, NAFEO is the only membership association of its kind, representing the presidents and chancellors of the diverse black colleges and universities: public, private and land-grant, two-year, four-year, graduate and professional, historically and predominantly black colleges and universities. NAFEO was founded to provide an international voice for the nation's HBCUs; to place and maintain the issue of equal opportunity in higher education on the national agenda; to advocate policies, programs and practices designed to preserve and enhance HBCUs; and to increase the active participation of blacks at every level in the formulation and implementation of policies and programs in American higher education. For more information, go to www.nafeo.org. The American Indian Higher Education Consortium (AIHEC) was founded in 1972 by the presidents of the nation's first six tribal colleges as an informal collaboration among member colleges. Through AIHEC, tribal colleges nurtured a common vision and learned to see themselves as a national movement. Their work—research, advocacy and lobbying—was done through volunteerism and came almost exclusively from the presidents, community members, and other tribal and local leaders. Today, AIHEC has grown to represent 37 colleges in the United States and one Canadian institution and is the lifeline of these tribal colleges. For more information, go to www.aihec.org. PALM BEACH GARDENS, FL. - September 11, 2012 - The National Association of Diversity Officers in Higher Education (NADOHE), will be represented at the Hispanic Association of Colleges and Universities (HACU) 26th Annual Conference, October 20-22 in Washington D.C., in a panel discussion entitled Transformational Leaders Addressing Diversity: Chief Diversity Officers at Hispanic Serving Institutions and Associate Hispanic Serving Institutions. The discussion will take place during the HACU Leadership Institute on Saturday, October 20th. The presenters include Benjamin D. Reese, Psy.D., NADOHE President, Vice President for Institutional Equity, Duke University-Durham, North Carolina; Josephine "Jozi" DeLeon, Ph.D., NADOHE First Vice President, Vice President for Equity and Inclusion, University of New Mexico-Albuquerque, New Mexico; and Elizabeth F. Ortiz, Ed.D., NADOHE Treasurer, Vice President for Institutional Diversity and Equity, DePaul University - Chicago, Illinois. A panel consisting of three Chief Diversity Officers of very different institutions of higher education will discuss the importance of diversity officers at Hispanic Serving and Associate Institutions. Demographic changes at all institutions and HSIs in particular, challenge us to examine the importance of the CDO. The panel will share the history of the development of Chief Diversity Officer positions in higher education and the formation of a national organization focused on the CDO profession. Finally, the panel will share some of the issues that higher education still faces in addressing diversity, equity and inclusion that makes the work of CDOs more critical today than ever before. The panel will also share their efforts at their respective campuses on the DREAM act, providing assistance for dreamers and being catalysts for change regarding public policy on this issue. Personal stories of their own work will be embedded in the panelists' presentations. Participants will be able to ask questions pertinent to their campus at the end of the session. More information about the conference can be found at http://www.hacu.net/hacu/Annual_Conference1.asp. NADOHE serves as the preeminent voice for diversity officers in higher education. Its vision is to lead higher education towards inclusive excellence through institutional transformation. NADOHE currently has 172 institutional members and 130 individual members. For more information, please call 561-472-8479 or visit www.nadohe.org. PALM BEACH GARDENS, FL. - September 10, 2012 - During its July Board of Directors meeting, the board of the National Association of Diversity Officers in Higher Education (NADOHE) enthusiastically supported working with the National Collegiate Athletic Association (NCAA) during the development of its Institutional Performance Program. The two organizations are discussing how NADOHE's expertise in diversity and inclusion might add value in examining and assessing the role of diversity within athletic departments, as well as the general experience of the student-athlete. NADOHE president Benjamin Reese, Jr., Duke University, notes, "This is a natural fit given the important role that Chief Diversity Officers play in facilitating efforts that promote the fullest engagement of students, faculty, and staff, including student-athletes, on college and university campuses. This is a very important endeavor." NADOHE serves as the preeminent voice for diversity officers in higher education. Its vision is to lead higher education towards inclusive excellence through institutional transformation. NADOHE currently has 170 institutional members and 125 individual members. For more information, please call 561-472-8479 or visit www.nadohe.org. PALM BEACH GARDENS, FL. - May 24, 2012 - The National Association of Diversity Officers in Higher Education (NADOHE), will be participating in two events scheduled to take place on Thursday, May 31, 2012, at the NCORE 2012 Conference in New York City, at the Marriott Marquis Hotel. A panel discussion entitled The Dream of Diversity on Campuses Has Not Been Achieved will take place from 10:00 am - 11:30 am on Thursday, May 31. It will feature Benjamin D. Reese, Ph.D. NADOHE President, Vice President for Institutional Equity, Duke University-Durham, North Carolina; Josephine "Jozi" DeLeon, Ph.D., NADOHE First Vice President, Vice President for Equity and Inclusion, University of New Mexico-Albuquerque, New Mexico; and Archie W. Ervin, Ph.D., NADOHE Second Vice President, Vice President for Institute Diversity, Georgia Institute of Technology-Atlanta, Georgia. Go to http://ncore.ou.edu/2012/majorworkshop12.html for a description of this session and refer to the NCORE conference program for location information. NADOHE is sponsoring a reception scheduled to take place from 6:30 pm - 7:30 pm that same day in the Sky Lobby, 16th floor, of the Marriott Marquis Hotel. The reception is open to Chief Diversity Officers and those whose work advance inclusive excellence in higher education. PALM BEACH GARDENS, FL. - April 11, 2012 - The National Association of Diversity Officers in Higher Education (NADOHE), announced the winners of the Inclusive Excellence Awards during the association's Awards Ceremony on March 13, 2012, in Los Angeles, CA, during the NADOHE Annual Conference. There were three categories awarded: Individual Leadership, Institutional Excellence, and Outstanding Dissertation. The award for Individual Leadership was awarded to Sheila O'Rourke, Assistant Provost for Academic Affairs at the University of California Berkeley. Sheila O'Rourke has been a national leader promoting faculty equity and diversity throughout her career at the University of California. She was instrumental in developing new strategies for achieving diversity against a "color blind" legal backdrop. Her work has changed the University of California's policy and practices and has an impact nationally in the efforts to preserve diversity in academia against the affirmative action backlash. Her most significant achievement has been through her service as director of the nationally recognized University of California (UC) President's Postdoctoral Fellowship Program (PPFP). She has a J.D. from Berkeley Law School and an A.B. from Stanford University, Phi Beta Kappa. 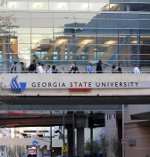 The award for Institutional Excellence was awarded to Georgia State University which is a globally engaged research institution located in Atlanta, Georgia. Georgia State University is committed to providing the highest quality of education in an inclusive campus environment. In addition to the passage of its first university vetted Diversity Strategic Plan (hailed as a milestone not only for the university, but for the University System of Georgia), the development of programs such as the Latino Leadership Pipeline and the Coca-Cola First Generations Scholars Program, has demonstrated through several transformative campus-wide initiatives that they are well poised to sustain diversity efforts within their campus community. The award for Outstanding Dissertation was awarded to Kendra Preer, Ph.D. with Stark State College. Kendra Preer's dissertation, Intraracial Diversity at Historically Black Colleges and Universities: Understanding African-American Student Perceptions provides groundbreaking and meaningful insight into how students of color experience diversity within their own ethnicity on a campus where Black students are the majority. The research outcomes of Dr. Preer's study convey the underlying importance of discussing diversity from many perspectives and attempts to unravel the complex and dynamic intracultural issues which impact African American undergraduates. Dr. Preer completed her doctoral studies at Jackson State University in Jackson, Mississippi. PALM BEACH GARDENS, FL. - March 14, 2012 - The National Association of Diversity Officers in Higher Education (NADOHE), installed its new officers and board of director members during the association's Annual Business Meeting on March 13, 2012, in Los Angeles, CA, during the NADOHE Annual Conference. The new officers are: Benjamin D. Reese, Jr., NADOHE President, Duke University; Glen Jones, NADOHE Past President, Arkansas State University; Josephine 'Jozi' De Leon, NADOHE First Vice President, University of New Mexico; Archie W. Ervin, NADOHE Second Vice President, Georgia Institute of Technology; Elizabeth F. Ortiz, NADOHE Treasurer, DePaul University; and Debbie M. Seeberger, NADOHE Secretary, Towson University. The newly elected officers will serve a two-year term. The new board of director members are: Gregory Vincent, University of Texas at Austin (re-elected); Paulette Granberry Russell, Michigan State University; Shirley M. Collado, Middlebury College (re-elected); Gilda G. Garcia, University of North Texas; Jeanne Arnold, Grand Valley State University; and Joan B. Holmes, Hillsborough Community College. Each will serve a three-year term except for Arnold and Holmes whose terms will end in March 2013. NADOHE President Benjamin D. Reese, Jr. notes, "I'm deeply honored to have the opportunity to serve the membership of NADOHE. Although this is a time of extraordinary challenges within the academy, it is also an opportunity for diversity officers to continue their leadership in enhancing excellence across the diverse landscape of higher education." NADOHE's continuing board of directors are: Rosemary Kilkenny, Georgetown University; Eveadean 'Evie' Myers, North Dakota State University; Terri Harris Reed, George Washington University; Raji S.A. Rhys, The University of Arizona; Fred Rodriguez, University of Kansas; Christine A. Stanley, Texas A&M University; William B. Harvey, NADOHE Founding President Emeritus (ex-officio), North Carolina A&T State University; and Roger L. Worthington, JDHE Editor (ex-officio), University of Missouri. PALM BEACH GARDENS, FL - February 24, 2012 - Noted author and social psychologist Claude Steele has been confirmed to deliver the opening keynote address at the 2012 NADOHE Annual Conference, March 12 - 14, in Los Angeles. Entitled "Whistling Vivaldi: And Other Clues to How Stereotypes Affect Us" Steele's talk will examine his theory of stereotype threat. The groundbreaking theory looks at how people from different groups, being threatened by different stereotypes, can have quite different experiences in the same situation. It has been used to understand group differences in performance ranging from the intellectual to the athletic. Steele's book "Whistling Vivaldi: And Other Clues to How Stereotypes Affect Us" published in 2010, is based on this research, which has led to interventions that make a difference in society. What Do Today's Chief Diversity Officers Actually Do? For more information, go to http://www.nadohe.org/conferences or contact NADOHE headquarters at 561-472-8479. PALM BEACH GARDENS, FL – June 17, 2011 – Glen Jones, President, NADOHE, is pleased to announce that NADOHE is now accepting applications for NADOHE Chapters. During the NADOHE Annual Business Meeting on March 8 in Washington, D.C. the membership voted to allow local, state, regional, and special interest organizations to become chapters of NADOHE. Glen Jones notes, "The creation and presence of NADOHE-affiliated chapters will allow us to expand both the work and reach of NADOHE as we customize our member support initiatives to meet state and regional needs. This is a significant accomplishment for NADOHE and I commend Dr. Roger Worthington and Dr. Archie Ervin for their many efforts over the past 12 months." This announcement comes a year after NADOHE began the process of moving towards the ultimate goal of permanent chapters. While the guidelines for NADOHE Chapters were in development, NADOHE began accepting applications for Provisional Affiliate Associations (PAA’s) in June 2010. In the interim, PAA status was granted to existing and newly established state, regional, and special interest groups that were interested in becoming permanent partners. Currently, NADOHE has four PAA’s: Big 12 Consortium of Diversity Officers, Southeastern Conference (SEC), Texas Association of Diversity Officers in Higher Education (TADOHE), and Virginia Diversity Officers in Higher Education (VDOHE). These organizations will begin moving forward from their provisional status to a permanent chapter status once all necessary guidelines are met. NADOHE Chapters exist to strengthen the common goal of inclusive excellence in higher education on a local, state, regional, and special interest level. Organizations that become NADOHE Chapters enjoy the benefits of: becoming a voice in higher education diversity policy; developing a broader network of diversity officers and experts with common concerns and goals; working on a global platform with other like-minded institutions and individuals to advance higher education diversity; and receiving the assistance of NADOHE information and operations. Organizations wishing to become a Chapter of NADOHE must meet the requirements outlined in the NADOHE Chapter Agreement and must complete the application that is available on the website. More information about becoming a NADOHE Chapter can be found at http://tinyurl.com/NADOHE-chapter. Inquiries about NADOHE Chapters can be directed to NADOHE headquarters at 561-472-8479. PALM BEACH GARDENS, FL. – June 9, 2011 – The National Association of Diversity Officers in Higher Education (NADOHE) is pleased to announce the appointment of Roger L. Worthington, Ph.D. as incoming Editor of the Journal of Diversity in Higher Education (JDHE). Dr. Worthington is assuming the position from Michael R. Stevenson, Ph.D., Dean of the College of Social and Behavioral Sciences at Northern Arizona University. Outgoing Editor Dr. Stevenson notes, "Dr. Worthington is exactly who JDHE needs at this point in its development. I am convinced Dr. Worthington and his team will build on our successes and keep subscribers and contributors at the cutting edge of discourse on diversity in higher education. I am proud of what has been accomplished thus far but look forward to even greater things to come." Dr. Worthington is a professor of Educational, School and Counseling Psychology and has served as the Assistant Deputy Chancellor and Chief Diversity Officer at the University of Missouri since 2006. He is a nationally recognized scholar on issues of human diversity in counseling and education. He is a fellow of the American Psychological Association (APA), a member of the Board of Directors for the NADOHE, an associate editor for the Journal of Counseling Psychology, and the Vice President for Diversity and the Public Interest of the Society of Counseling Psychology (SCP) of the APA. Following his appointment Dr. Worthington remarked, "It is a tremendous honor for me to be appointed as the next editor of the JDHE. I greatly respect and applaud Dr. Stevenson’s vision and hard work in building a journal that has been recognized by our publisher, APA Journals, as one of the highest performing new journals in their history." JDHE is a quarterly joint publication of NADOHE and APA. The Journal provides a multidisciplinary platform to publish research findings, theory and promising practices which guide the efforts of institutions of higher education in the pursuit of inclusive excellence. JDHE has recently been selected for coverage in Thomson Reuters' indexes. The Journal will be appearing in the Social Sciences Citation Index, the Journal Citation Reports/Social Sciences Edition, and Current Contents/Social and Behavioral Sciences indexes. Inclusion in these indexes will mean JDHE will have an ISI Impact Factor beginning in 2012. The JDHE webpage is http://www.nadohe.org/mc/page.do?sitePageId=92834&orgId=nadohe. For more information about the journal, Dr. Worthington can be reached at 573-882-5838 or [email protected]. For more information about NADOHE, please call 561-472-8479, or visit www.nadohe.org. PALM BEACH GARDENS, FL – March 28, 2011 – Glen Jones, President, NADOHE, announced during the NADOHE Annual Business Meeting on March 8 in Washington, D.C. the approval of a student membership category which will allow students to join the association and enjoy the benefits of membership. This recent advancement helps to further NADOHE’s mission of increasing awareness of inclusive excellence within institutions of higher education. It also demonstrates the diligent efforts of those wishing to take concrete steps forward in following this mission at the student level on college campuses. Student membership status in the association is open to any graduate or undergraduate student who expresses interest in the profession of diversity, multicultural education and/or similar profession. As a member, students are able to attend NADOHE’s Annual Conference at a student member rate; access NADOHE’s webinars at the member rate; receive an online subscription to the Journal of Diversity in Higher Education; access NADOHE’s membership listserv; access the latest scholarships on inclusive excellence in higher education; and access NADOHE’s Career Center where they are able to post résumés and manage a job seeker account. Ronald W. Whitaker II, MBA, M.S. Ed., a current University of Pennsylvania master degree candidate in Professional Counseling, is NADOHE’s first student member. “I definitely think that adding a student membership category would be of great value to NADOHE, and also aspiring CDO’s. Personally speaking, I know that my goal is to become a Diversity leader in a higher educational milieu, but I am lacking mentoring from those that can help me in my career endeavors. I will support NADOHE in whatever capacity needed,” he shares. Student members will also have the opportunity to participate in various NADOHE committees and to volunteer during NADOHE’s Annual Convention. Inquiries and further information about student membership can be directed to the NADOHE headquarters at 561-472-8479. PALM BEACH GARDENS, FL. – The National Association of Diversity Officers in Higher Education (NADOHE), recently announced that the following individuals have been elected to serve on the board of directors: Terri Harris Reed, Vice Provost of Institutional Equity and Diversity at Princeton University; Fred Rodriguez , Associate Vice Provost for Diversity and Equity at the University of Kansas; Christine Stanley, Vice President and Associate Provost for Diversity at Texas A&M University; Eveadean Myers, Vice President of Equity, Diversity and Global Outreach at North Dakota State University; and Gregory Vincent, Vice President for the Division of Diversity and Community Engagement at The University of Texas at Austin. Each will serve a three-year term except for Vincent who will fulfill the remainder of Dolores Battle’s term which will end in March 2012. The new members of the board of directors will be installed during the NADOHE Annual Business Meeting on March 8, 2011 which will take place in conjunction with the NADOHE Annual Conference that same week in Washington, D.C, at the Washington Hilton and Towers. NADOHE’s current board of directors are: Dolores Battle, Buffalo State College/State University of New York; Jesus R. (Sonny) Castro, University of Central Missouri; Shirley M. Collado, Middlebury College; Josephine 'Jozi' De Leon, University of New Mexico; Archie Ervin, Georgia Institute of Technology; Bruce A. King, St. Olaf College; Charles Martinez, University of Oregon; Steve O. Michael, Arcadia University; Juan Sanchez Muñoz, Texas Tech University; Elizabeth F. Ortiz, DePaul University; Benjamin D. Reese, Jr., Duke University; Raji S.A. Rhys, The University of Arizona; Abbie Robinson-Armstrong, Loyola Marymount University/LA; Michelle T. Scott, Montgomery College; Debbie Seeberger, Towson University; and Roger L. Worthington, University of Missouri. The officers are Glen Jones, NADOHE President, Arkansas State University; Njeri Nuru-Holm, NADOHE First Vice-President, Cleveland State University; Wanda Mitchell, NADOHE Second Vice-President, University of New Hampshire; Rosemary Kilkenny, NADOHE Treasurer, Georgetown University; and Wendy Thompson, NADOHE Secretary, Tennessee Board of Regents. The terms of King, Muñoz, Robinson-Armstrong, and Seeberger will end on March 8, 2011. NADOHE serves as the preeminent voice for diversity officers in higher education. Its vision is to lead higher education towards inclusive excellence through institutional transformation. NADOHE currently has 159 institutional members and 117 individual members. For more information, please call 561-472-8479 or visit www.nadohe.org. Read The Dream of Diversity on Campuses Has Not Been Achieved. One week after Senate Majority Leader Harry M. Reid introduced the possibility of the Development, Relief, and Education for Alien Minors Act (DREAM Act) making its way to the Senate floor, the legislation failed to see a final vote in the Senate due to a Republican filibuster. The act would have provided qualified undocumented youth with a six-year conditional path to citizenship upon the completion of two years of higher education or two years of military service. The immigration bill was attached to a larger defense resolution that included a repeal of the "Don't Ask, Don't Tell" policy currently banning openly gay individuals from serving in the military. With a vote of 60 required, the cloture motion failed to pass with a vote of 56 to 43. PALM BEACH GARDENS, FL – August, 2010 – Glen Jones, President, NADOHE, announced the approval of the first two Provisional Affiliate Association (PAA) Chapters, The Texas Association of Diversity Officers in Higher Education (TADOHE) and the Virginia Diversity Officers in Higher Education (VDOHE). This announcement comes just four months after the board of directors approved the acceptance of Provisional Affiliate Association Chapters in collaboration with the national association. “We are honored to welcome TADOHE and VDOHE into the extended NADOHE family and we look forward to collaborating with them as we strive to meet our mutual objectives,” noted Jones. This recent development marks a critical juncture in the ongoing efforts of NADOHE’s mission to increase awareness of inclusive excellence within institutions of higher education. It also demonstrates the diligent efforts of those wishing to take concrete steps forward in following this mission for their regional communities. “I am thrilled that the chief diversity officers in Virginia will formally convene to strategize on how we can minimize barriers to the implementation of inclusive excellence at colleges and universities in the Commonwealth. Our designation as a Professional Affiliate Association of NADOHE is definitely a step in the right direction for the diversity and inclusion agenda in Virginia,” said Dr. Karen Eley Sanders, Interim Vice President for Diversity and Inclusion and VDOHE affiliate. PAA’s are being offered to existing and newly established state, regional, and special interest associations interested in becoming permanent partners. TADOHE and VDOHE are the first to gain approval and have thus achieved affiliate status during a period when NADOHE’s guidelines remain relatively open in regards to PAA’s. “The Texas Association of Diversity Officers in Higher Education (TADOHE) is pleased to be one of NADOHE’s first professional affiliate associations.> We believe this relationship will provide much needed resources, guidance, and support to Higher Education Diversity Practitioners throughout this great state and assist us in realizing our goal to ‘close the gaps’ in participation, success, and educational research. It is both a privilege and honor to be a part of such an historical endeavor and to contribute towards ensuring academic excellence for all college and university students by capitalizing on our fortuitous diversity,” noted Lonica L. Bush, Executive Director of Diversity and Equity for the College of the Mainland (Texas City, TX) and TADOHE’s representative. Guidelines for permanent chapter status are being drafted and, upon approval of the membership at the next annual meeting, March 2011, are scheduled to be implemented by June 2011. The current interim period affords interested associations or potential organizations the opportunity to organize regional and local area associations for affiliate status until this happens. Inquiries about the process and implementation of NADOHE chapters can be directed to Roger Worthington, chair of the NADOHE Chapter Committee at [email protected]. PALM BEACH GARDENS, FL – June 8, 2010 – Glen Jones, President, NADOHE, announced today that NADOHE is now accepting applications for Provisional Affiliate Association (PAA) Chapters. This is a much anticipated step forward toward establishing permanent chapters, which is expected to be available within the next 10-12 months. This initial step forward is being offered to existing and newly established state, regional and special interest associations of diversity officers as an opportunity to become affiliated with NADOHE within a set of relatively open guidelines. Forming PAAs will provide a useful launching pad for newly established and existing state, regional and special interest associations that are interested in becoming permanent chapters. It provides an interim period under which PAAs can organize institutional and individual members into a fully functioning chapter. The interim period will end June 1, 2011. Rigorous guidelines for permanent chapter status are currently being drafted. At the end of the interim period, PAA Chapters will be expected to meet the more stringent guidelines (e.g., a minimum of 8-10 institutions to form a chapter; a minimum requirement for 100% institutional or individual membership in NADOHE). NADOHE members will receive information this coming August about the content of the guidelines for permanent chapter status. At that time, NADOHE members will have an opportunity to review the revised bylaws and provide comment. All proposed changes to the bylaws will be voted upon by the membership at the next Annual Business Meeting at the NADOHE Annual Convention in 2011.